I took my three-year old on a toy hunt to ToysRUs yesterday afternoon. His fourth birthday is coming up at the end of this month and he’s the worst kid to shop for. Tell him he can buy anything he wants in the store and he’ll walk out empty handed simply because he can’t make up his mind. He does like a lot of toys he sees but not enough to want to buy them and keep them long-term. In a way, I can’t complain since he probably won’t turn out a big spender. Unfortunately we walked out of the store after a half hour with no new toy ideas. But while we were browsing the aisles (only the blue ones, “the pink ones are for girls”…) I managed to see plenty of cows during our visit. 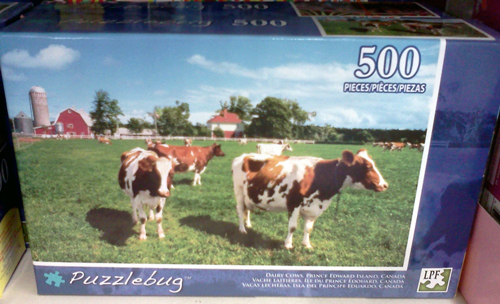 ToysRUs is actually a good place to spot cows, according to one of my previous visits there. Then I spotted a cow flashlight. 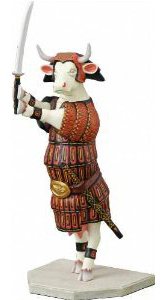 I found out the cow’s name is Moonica. How cute is that? And then I saw something I’ve never seen before but it may be the ultimate proof that cows really are popular with kids. It’s a milk truck, and by that I mean a large dairy tank truck. I love the cow hide pattern on the tank and the logos just make you want to grab a glass of milk. 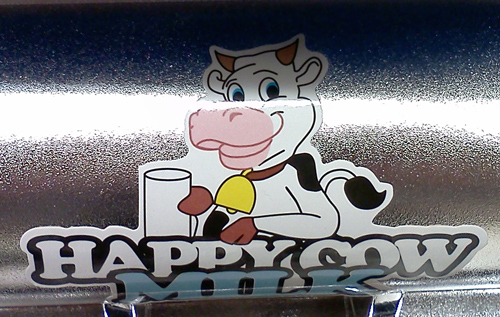 Here’s some happy cow milk! 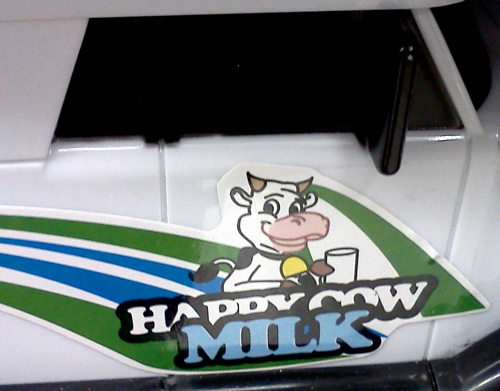 And here’s the other happy cow milk logo on the tank part. Welcome to CowsRUs, the land of happy cows. 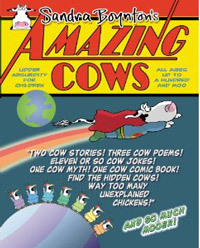 Next Post Minnie and Moo – what do cows do on Valentine’s Day? I know, toy input overload! my brother always chose and outing instead of a present… a trip to the zoo in his case, won every time with his choice of meal. I’ve offered this option to my son in exchange for a birthday party but he picked the party. I still think we can find him some gifts he’ll really like but need to expand our horizons. There’s an “educational” store I want to take him to this weekend where he may find something he really likes. Wish me luck!